All monsters you control gain 500 ATK. Once per turn, this card cannot be destroyed by card effects. While you control 2 or more face-upAttack Position monsters, your opponent cannot target your monster(s) with the lowest ATK for an attack. If this card is activated: Destroy all Special Summoned monsters you control. You cannot Special Summon monsters from the Extra Deck. 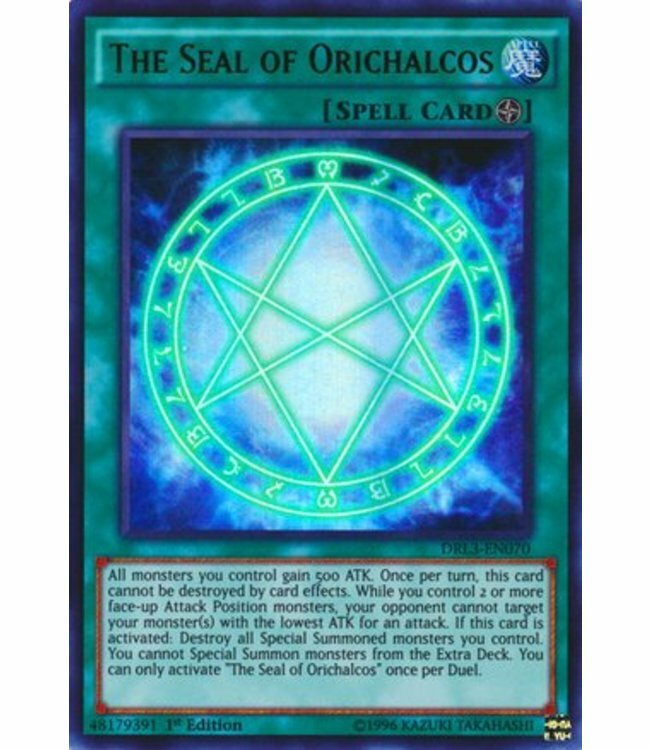 You can only activate "The Seal of Orichalcos" once per Duel.